When navigating an ethical dilemma, do you ask yourself simply whether the action you want to take is legal? Remember, just because an action is legal doesn’t mean it’s ethical. If you have committed to a career in the public sector, you’ve also committed to acting in the public interest at all times. This means making ethical decisions in accordance with public sector values, otherwise know as principles of good governance. What is the function of principles of good governance in the public sector? Principles of good governance encourage public managers to transcend the limitations of thinking only in legal terms. The legal implications of an action are critical to any decision, but they are also well defined, easy to determine and simple to apply. Conversely, by questioning an action in relation to values, a public manager must confront the important ethical aspects and implications of his/ her decision. These are far more difficult to pinpoint. In this way, the principles of good governance serve to guide public managers in their mandate to act in the public interest at all times. 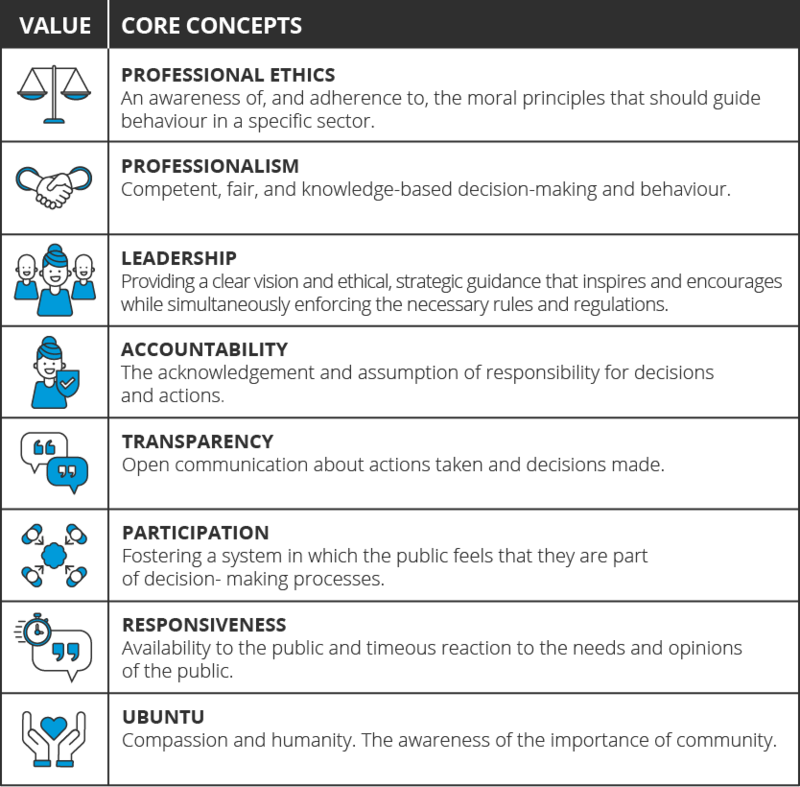 This infographic explores 8 key principles of good governance formulated to guide public managers navigating through ethical grey areas. Consider the idea that these values are a lens through which public management situations can be viewed – just like the lenses in a pair of glasses affects everything that a person sees, these values should permeate every aspect of a public manager’s views and expressions of their responsibilities. with the University of Cape Town Public Management and Governance online short course.